Weekly Service Offering—Envelopes are provided in the sanctuary chair seat backs for anyone who desires to use them. If contributing with a check, no envelope is necessary. Online Bill Pay—This easy and convenient method is set up with your personal bank. You tell them how much and how often you want to contribute and they mail your contributions directly to the church. PayPal—Contribute online right here through our website. Click on the “donate” button below and you will be linked to a secure PayPal page where you can enter your information including your desired contribution. What can you expect when you give? Donating at Journey Christian Church is a confidential matter. Offerings are counted and deposited by trusted volunteers and recorded in our bookkeeping system. 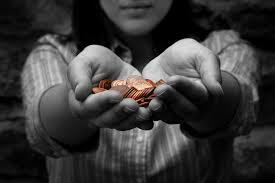 Each January a report of yearly giving is sent to contributors for tax purposes. Any questions regarding your own giving should be directed to Mary in the church office. Spending is an equally responsible matter. Our deacon board is charged with creating an annual budget and, once it is approved by our membership, then watches to see that the income and expenses are in keeping with the budget. Do you have questions? Feel free to contact the church office: Pastor Fred or Mary Wirtz at 218.879.6765. For more information about giving link here to our information brochure Giving at the Journey (PDF format).